Today’s guest expert is Adrian Rowe from RedC Marketing, Adrian is a lifelong passionate direct marketer – he cut his teeth in the world of big catalogue marketing (think Great Universal), and for more than 2 decades has been leading the team at Full Service marketing agency Red C, where he and his team have worked with many a high street and home shopping retailer to create more effective communications by getting under the skin of customers and prospects. And if that doesn’t convince you of his expertise – here’s the social proof bit – he’s been made an honorary life fellow of the Institute of Direct & Digital marketing (the IDM here in the UK)! In a way, Adrian has always been in eCommerce. His career started pre-internet in the world of home shopping companies. At that time, catalogues were the most prevalent and direct line of communication between home shopping companies and their clients. Adrian makes the point in fact that a lot of the ‘cataloguers’ were the early adopters of eCommerce. He points out that many of the principles of relationship marketing are the same offline as they are on. When the tide of digital started rising as early as 1998, Red C launched digital services as a stand alone division. The company soon reintegrated the digital team into their overall company because they were finding that the relevance was widespread and only growing. Today, digital makes up nearly 70% of Red C’s accounts. Red C recently published a ground-breaking report about how consumers actually use search report pages. As a fulls service marketing agency, Red C spends a significant amount of time and resources on search marketing. PPC campaigns, SEO and content marketing produce a lot of data for the company. Adrian says that this data tells the story of what people do on search pages, but not why they do it. The team wanted to really understand why people were doing what they were doing on search pages, but they couldn’t find any good, objective answers to that question. 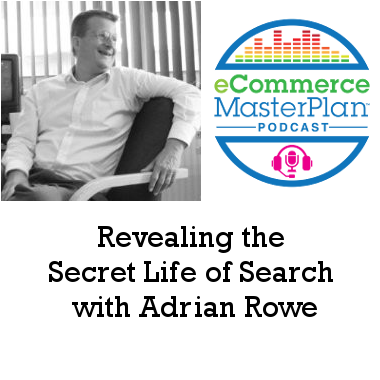 Seeing this lack of research, Adrian’s team decided to do the study themselves–an effort that would eventually be released as The Secret Life of Search. The team used the eye tracking interface to interview more than sixty people which they then combined with pre and post questionnaires. Combining those two inputs, the team was able to get a much better sense of how, what and why people were doing on Google search. The report shed light on a range of behavior. Adrian shares the ones he found most surprising. The overwhelming click choice was given to trusted, familiar, credible brands. More than 80% of clicks across all sectors were trusted or familiar brands. The takeaway: Building your brand will support you when it comes to search page marketing. For eCommerce brands, the influential impact of Google Shopping is massive. The degree to which it influences other clicks is enormous. Google Shopping clearly influences the level of attention given to a product or style. The takeaway: Using Google Shopping is helpful for more than sales. Consider it as a way to convert clicks and gather impressions. The degree to which people use visual aids as a discovery tool within the search results was very high. Featured snippets, the midway image pack and shopping from Google are heavily used as a discovery tool by shoppers. Female respondents looking for a party dress would use the images or shopping tab as a discovery tool, find a style that suited them then go back to the search interface to actually search more with a refined search term. Across 90% eCommerce searches, 14% of searchers chose either the shopping or the images tab. The takeaway: If you’re not optimizing your Google shopping feeds, alt tagging and optimizing your images, your missing out on a source of highly qualified traffic. A3 Layout Pad and a Sharpie Pen. Great tools for mapping out ideas. Walk a mile in the customer’s shoes. Often the customer experience is vastly different than what the marketing team thinks it is.